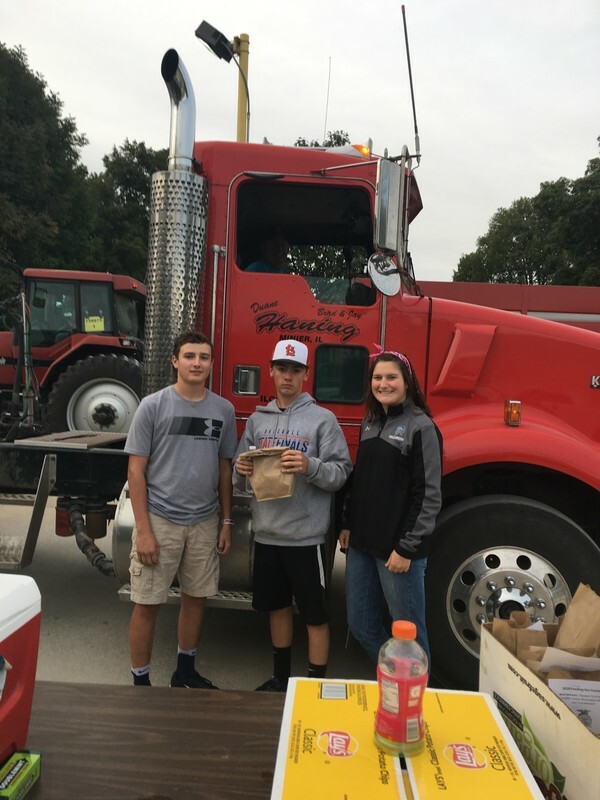 The Olympia High School FFA provided free meals for local farmers on Wednesday, September 26th. 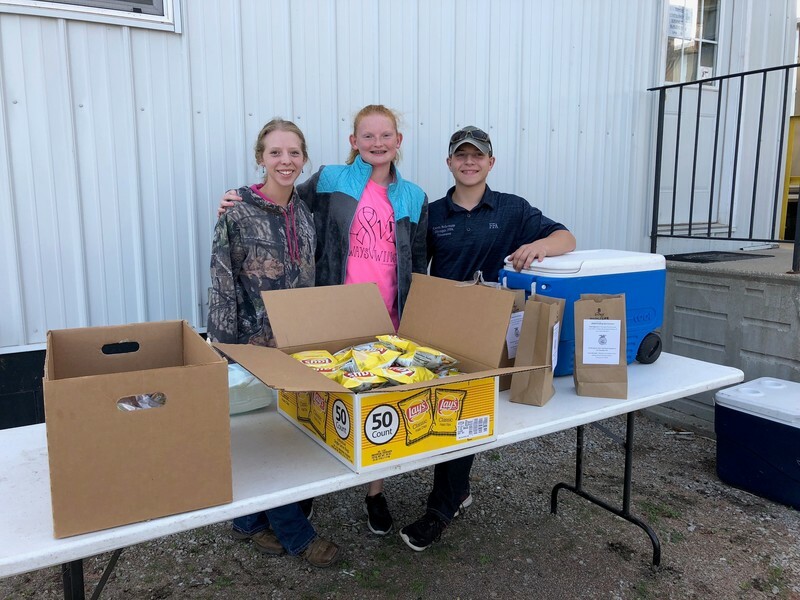 FFA members distributed more than 400 pork burgers, chips, cookies and drinks at six local elevators. 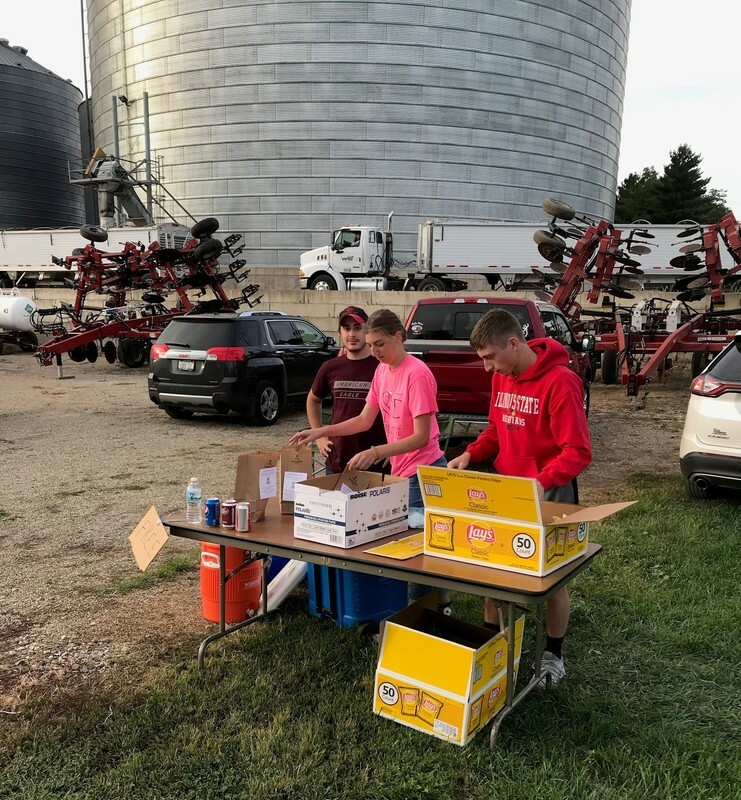 The elevators at Atlanta (Top Flight Grain), McLean (Evergreen FS), Stanford (Stanford Grain), Danvers (Danvers Farmers Elevator), Armington and Minier (Grainland Coop) donated the drinks and assisted with logistics of the event. 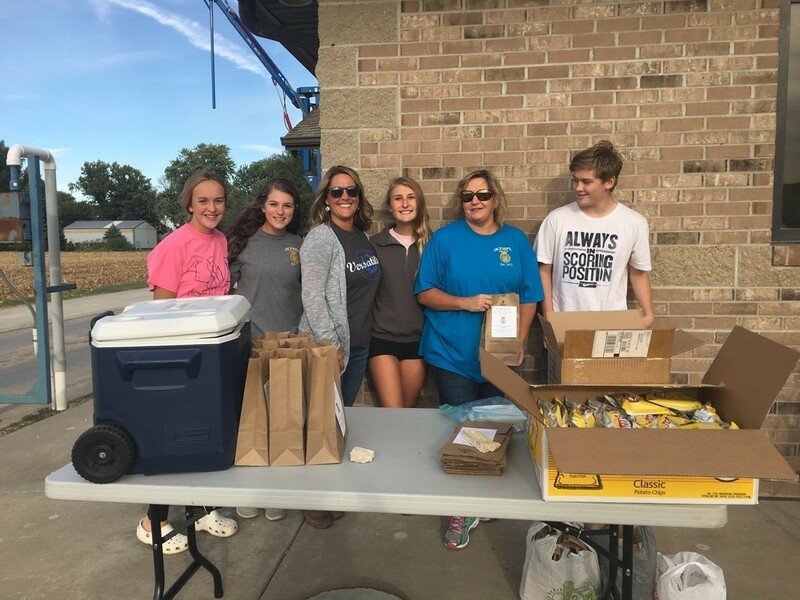 The Olympia FFA Alumni also assisted with serving the meals. The Cory Miller Family donated the hog and Bloomington Meats donated the processing. The Olympia FFA would like to thank all the local farmers for their efforts to provide the safest, most abundant and affordable food supply in the world. It was not necessary, but many of the farmers made very generous donations to the FFA chapter.